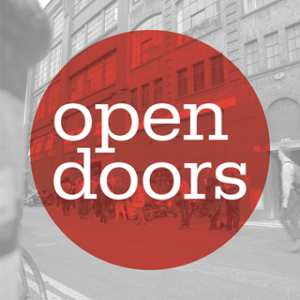 On Wednesday November 8th Creative Skillset is running the first Manchester ‘Open Doors’ event at Space Studios Manchester, in partnership with SharpFutures and funded by the High End TV Skills fund. Want to work in TV Drama? Not sure how to get YOUR foot in the door and find opportunities that will lead to a career behind the camera? Join us at Space Studios Manchester, home to Drama productions such as Cold Feet, The A Word, The Five and Mount Pleasant. Find out about working in TV Drama, get excellent career advice, network with industry professionals and learn about the new entrant scheme Trainee Finder. We’ll also be talking about our regional TV Bootcamps and how it can help you launch your career in TV Drama. Plus, you’ll enjoy FREE pizza. If you have any questions email Kay on kayv@creativeskillset.org. This event is part of Open Doors, a series of events brought to you by Creative Skillset.